I finally got smart and sifted the puffball contents with a fine-mesh strainer. I saw that the remaining debris of puffball skin and nodules was crawling with adult beetles as well. 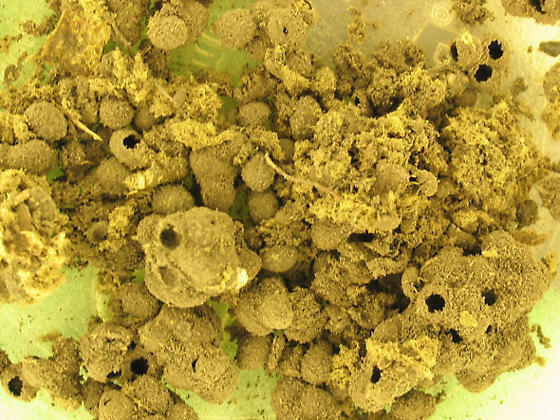 I can see at least two and possibly five adult puffball beetles in this image, plus portions of two larvae or pupae showing through the ruptured chambers.